Mar. 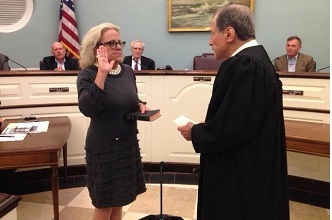 27, 2019: Merchants, churches, other local organizations, and residents came to the rescue of people displaced by the devastating fire at 15 Parkview Avenue on March 12. 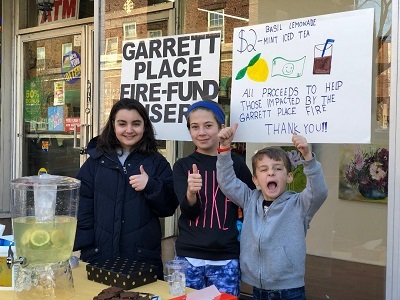 A small store with a big heart, Ladle of Love (18 Palmer Avenue) was closed for the evening on March 12 at the time of the fire, but co-owner Jennifer Lampert re-opened her store at 11:00 pm and worked until 4:00 am bringing soup and food down the street to first responders and residents evacuated by the fire. Later that morning, the store brought meals to all of the families that were taking shelter at Roosevelt High School. Jennifer pledged “to offer free meals for as long as needed to anyone affected by this devastating fire.” Jennifer also started a GoFundMe campaign, which has been designated as the main campaign by the City of Yonkers and the mayor’s office. To date, they have raised over $31,600. Ladle of Love started to receive donations of clothing, food, and goods and found that they needed more space to store everything. 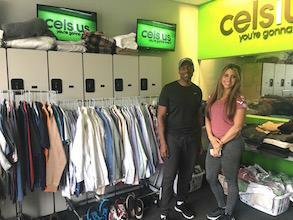 That’s when Lonnie Walton, owner of Celsius Fitness, stepped in to offer space at its storefront at 24 Palmer Avenue. Residents displaced by the fire were able to go there and select clothing, shoes, toiletries, pet supplies, food, gift cards from CVS and Kohl's, refrigerated meals from FreshDirect, and items donated by local merchants including Value Drugs, J.McLaughlin, Toney Toni & The Gang, Harry’s, Levi’s, Chantilly, Root & Vine, and Nicosia’s Bakery. The Pondfield Café also collected basic necessities. Volunteers Kate McClellan and Stephanie Porto helped around the clock. Ladle of Love is working on relocating the boutique to another location to continue donation efforts. Ladle of Love started a “feel-good boutique” in Celsius’s location. Over this past weekend, the boutique offered complimentary chair massages, workout class vouchers, and de-stressing techniques. The chair massages were provided by Bronxville Wellness Sanctuary on Saturday and Spa Concierge on Sunday. The de-stressing techniques were provided by Celsius Fitness. The chair massages were provided free for residents of 15 Parkview and were also available to the public for a dollar a minute, with all of the proceeds going to the GoFundMe campaign. Refreshments and resources were available to everyone who participated. 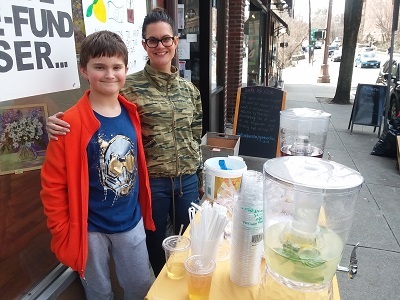 Over the weekend, Ladle of Love also hosted a lemonade and tea stand in front of its store from noon until 3:00 pm. 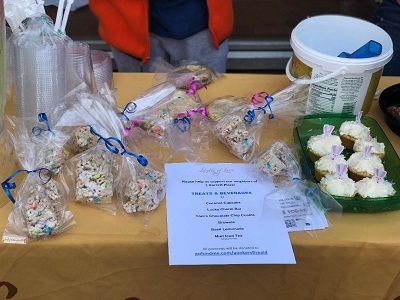 They also sold Lucky Charms treats, chocolate chip cookies, and coconut cupcakes made by Antoinette Dereska from Armour Villa. Pia Scaglione, along with her children Sadie and Myles Scaglione and family friend Zarine Yaghoobi, also helped with the stand. The lemonade and tea stand will also be up and running next weekend. Local churches and other organizations also stepped in to help. 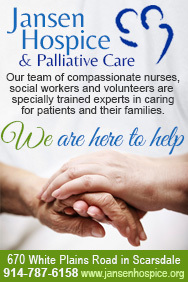 Christ Church Bronxville made a monetary donation, put a link to the GoFundMe campaign in its newsletter, and offered space for donations, as did St. John’s Episcopal Church Tuckahoe and the Village Lutheran Church. St. John’s Episcopal Church also served as a distribution center for clothing, toiletries, and other items. The Mother’s Club of St. Joseph’s Church collected gift cards to be given to residents of 15 Parkview Avenue. 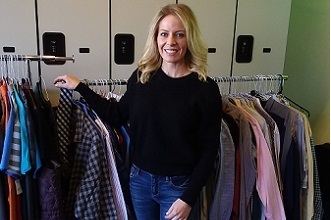 The Reformed Church of Bronxville’s clothing closet helped several families with specific clothing needs and addressed specific concerns through its deacons' fund. The Reformed Church sees long-term affordable housing as a top priority going forward. 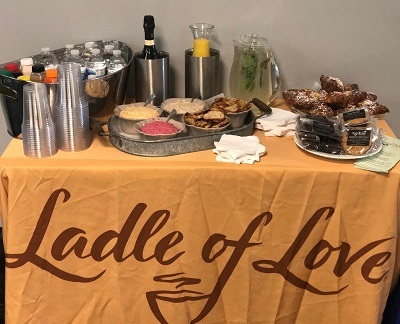 West Center Congregational Church supported Ladle of Love. Gramatan Village accepted and distributed donations. Volunteers from the Junior League of Bronxville assisted at both the Ladle of Love and Gramatan Village donation sites. Pictured here (from top): Jennifer Lampert of Ladle of Love (photo by K. Talbot); "feel-good boutique" (photo by A. Warner); other photos by Jennifer Lampert, co-owner of Ladle of Love.